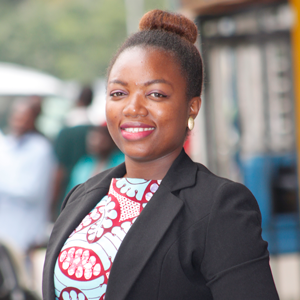 Patricia is a Tech Entrepreneur and an influential speaker among young female dreaming to pave their way into the technology and telecommunication industries. Founder of Piccolo Africa, a platform that offers practical training in cyber security, software engineering and network auditing to young girls as an incubator for gender equality in the technology and telecommunication sectors in Africa. Her job consists also of connecting senior IT women to young inexperienced workers/job seekers for a mentor/ mentee relationship. Appointed as an ambassador of Internations, she is also YALI alumni fellow that is actively engaged in teaching digital skills to youth. She believes that young girls needs to be introduced to the digital literacy at an early age to fight women's unemployment and fill the silent gap in the digital work force that weights down Africa's growth and economy. With her work, she has impacted the lives of many young girls and women that are now in various STEM tracks. She holds a degree in telecommunication engineering and a professional diploma in software engineering. She is currently working on launching her start up, the first ever telecom company where only female will perform all technical tasks.